Is there a statute of limitations for hanging on to maternity clothes? The biblical stories of Sara or Elizabeth notwithstanding, I’m long past a possible pregnancy myself. I did think, however, that perhaps some day our daughter or daughter-in-law might want these clothes. I’ve finally resigned myself to letting go. What helped me make the decision was a person who needed them now. A young college student colleague revealed that she unexpectedly became pregnant. 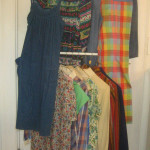 Finally, I realized these clothes were not doing anyone any good stored in my closet. 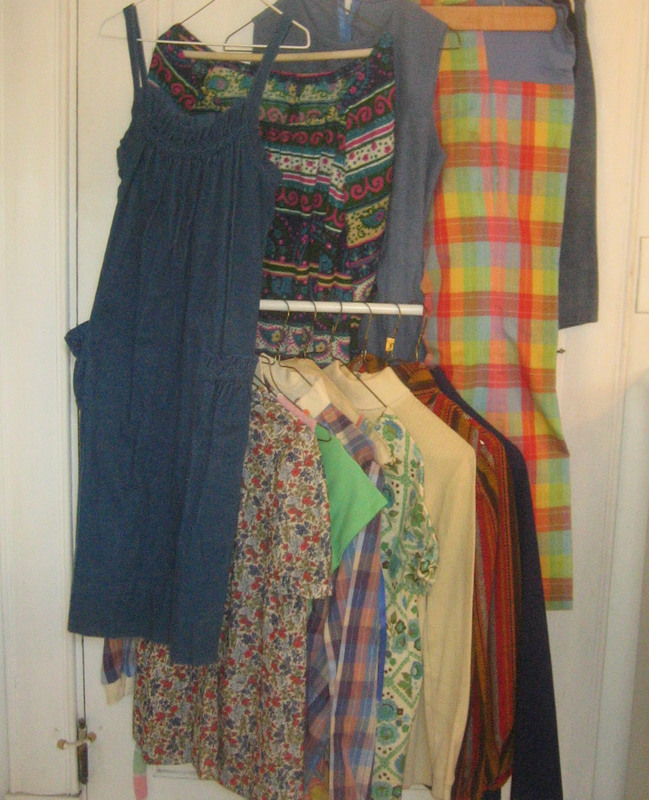 I gave her 9 tops, 3 dresses, 3 shorts, and 2 pairs of slacks. Not all of these items are probably equally useful since I’ve noticed that the style of maternity wear has evolved. The goal for many pregnant women no longer seems to be to hide one’s “baby bump” but rather to just be comfortable. Progress? Probably. What took me so long to accept the obvious? Sentimentality? Inertia? Stupidity? Forgetting I had them? Who knows. Lesson: Another’s need can awaken generosity. Full disclosure: I’m still saving my wedding dress even though after 44 years of marriage I have no intention of needing it again. Sometimes sentiment wins. #1 | Written by Susan Vogt about 4 years ago. Yes, Vickie, clothes that are connected with a special occasion are trickier to let go of both because of sentimental attachment and the fact that they may not “suit” another wearer. #2 | Written by Vickie about 4 years ago. This one is hilarious. Reminds me of this year finding the baptismal bonnet, dress and slip my mother dressed me in for one of the most important occasions of my life. I’ve got no children or grandchildren but I’m waiting to meet someone who’d like to have it . . . maybe a niece or nephew? I washed and ironed it; it takes up such little space. I too miss being provisionally biologically fertile.